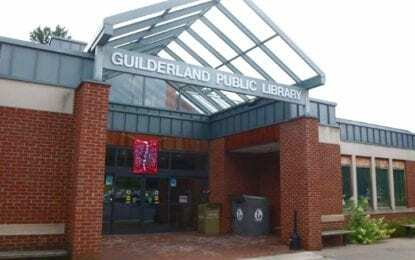 For the past 18 months, we’ve listened to over 2,100 citizens of Guilderland give us their opinions on the library’s needs, and now our May 21 referendum is approaching. Come to an open meeting where you can hear us describe the final proposal—what it will bring for the community and what it will cost if approved. Director Tim Wiles, architect Paul Mays, and Library Board members will be on hand to answer your questions: Tuesday, April 16 at 4 and 6:30 p.m., and Thursday, May 2 at 6:30 p.m. The last Sunday Disney movie before Disney Trivia Night is “Tangled,” shown on Sunday, April 7 at 2 p.m.
Pay close attention for possible trivia questions, and don’t forget to register for Disney Trivia Night Friday, April 26 at 6 p.m., which falls during school vacation week (perfect for families). Costumes encouraged; bring your own dinner, if desired. At least one team member must be age 16 or older. Do you feel completely drained by the end of the week? Are you finding it difficult to juggle work vs. home? You’re not alone! Dr. Tom Denham shares strategies to go beyond merely surviving toward thriving. He will present “Work/Life Balance: Tips and Techniques” on Wednesday, April 10 at 6:30 p.m. to help you achieve a more satisfying life. Please register online, by phone or in person. Are you creative but not necessarily tech- or business-oriented? 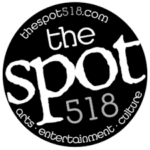 Interested in selling your crafts, artwork, and/or vintage items? Come to our Etsy Success workshop Saturday, April 6, from 10 a.m. to 1:30 p.m.
We’ll cover everything you need to know to get your online store started. Please pre-register for this class, establish your Etsy account in advance, and bring your own laptop, iPad or tablet (or arrange to borrow one of ours).